All wolf packs have a social order, a way they live within the pack. A social order is the way wolves are organized by dominance throughout their family group, and their place in the order determines whether or not they will have pups, and when they will eat. At the top of the wolf pack is the alpha pair, or dominants. The dominants are the breeding pair, a mated pair of a female and male wolf. They almost always direct the pack, and decide where they will go or what they will hunt. Alphas are usually the strongest, fastest wolves in the pack. Next are the subordinate wolves. There are two separate dominance orders in this rank, one for females and one for males. They are the mature wolves in the pack, and are submissive to the dominant pair. The highest ranking among these wolves are the beta wolves. 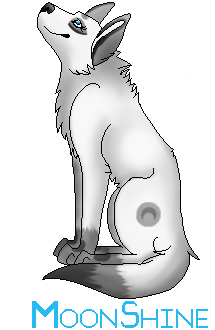 Omega wolves tend to be mistreated by other members of the pack. They are usually not allowed to play and hunt with the pack, and are more than likely the last to eat. These wolves avoid other members of the pack, and are extremely submissive to other wolves. At the bottom of the social order are the juveniles. These are the young wolves who have not yet earned a place in the pack's hierarchy. The pups will play fight, and often the results of these fights end up creating the social order for the pups. The order is not set in stone for them yet, and changes often. Wolves use many different gestures to show where they are in the pack's ranking. Submissive wolves will crouch and put their tail between their legs while dominants will hold their heads and tails high. Alphas also prick their ears while lower wolves flatten them.